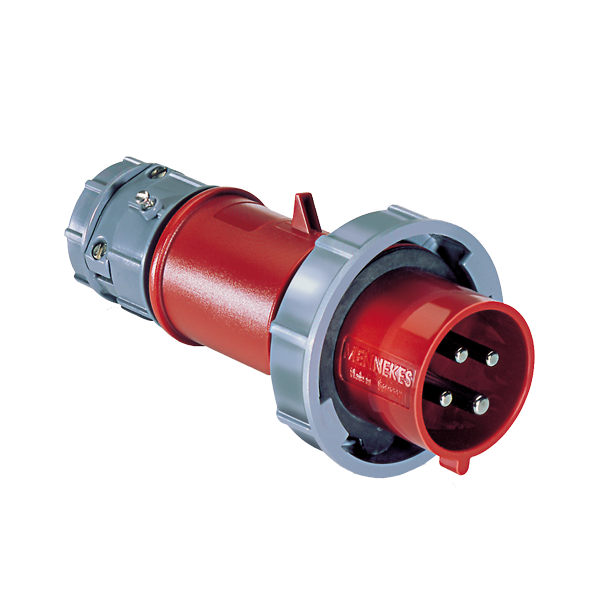 MENNEKES pin and sleeve plugs provide clean and secure connections for a wide variety of equipment. These 60309-compliant in-line plugs offer several features to stand up to rigorous industrial environments, including non-metallic housings with locking rings and gaskets for UL Type 4X watertight protection, nickel-plated pins to protect against corrosion and heat-resistant materials to enhance safety. An external strain relief system offers captive stainless hardware, and female-threaded NPT housings let users directly install flex conduit or wire mesh strain-relief fittings without an adapter.